So did you to cook the turkey to perfection this year? or did you get ribbed by your family around the table for that slightly over smoked bird? Oh well, either way 2014 is a new year with new goals in work, life and well…cooking! 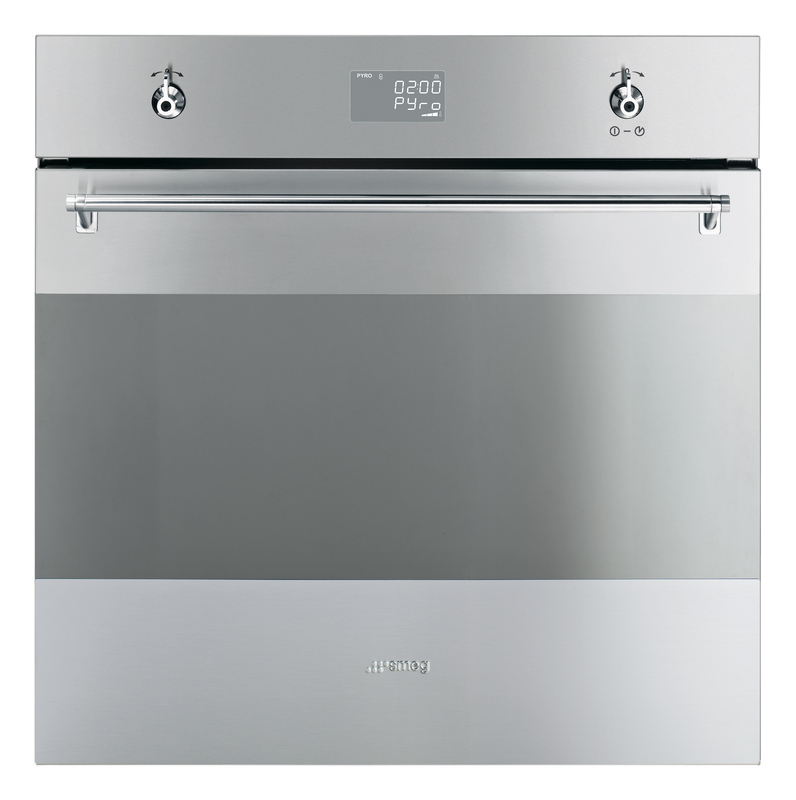 And in terms of the latter, award winning appliance manufacturer Smeg (yes, the one with the uber cook refrigerators everyone wished they had) you can create a new, exciting dish a professional chef would be proud of, from succulent roast pork to melt-in-the-mouth extra lemony sponge cake all because of its brand new recipe card collection? Yep, old school style, modern means, via Smegs website, you can concoct nine delicious, classic British recipes which have been cleverly designed by a qualified home economist to help you produce the tastiest dishes using Smeg’s top-of-the-range, built-in or freestanding cooking appliances (or of course, your own!). The last recipe from this collection, Rotisserie sweet chilli chicken, has just been completed and is now available online. Simply go to www.smeguk.com now where you can download each recipe card and 26 other online recipes from around the globe, which range from party food and starters to sweets and desserts. 1. Preheat the oven to 180C on the Rotisserie Grill setting. Place a baking tray lined with foil on the bottom shelf of the oven. This will collect any juices that drip from the chicken. 2. Mix the lime zest with the chilli flakes, a good pinch of salt and plenty of freshly ground black pepper. Stir in the oil and honey until combined. 3. Place the chicken on a board. Do not remove the string holding the chicken together. Carefully thread the rotisserie rod down through the centre of the chicken. 4. Skewer each end with the clip forks and secure by tightening the screw on each fork. 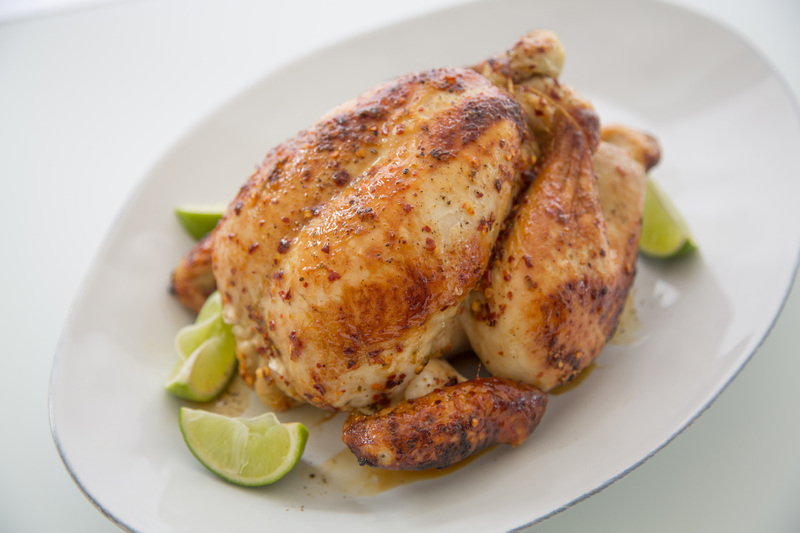 Brush the chilli mixture all over the skin of the chicken until it is evenly coated. 5. Place the rotisserie rod securely on to the rotisserie support according to your oven manual. Spit roast the chicken with the oven door closed for 1 ¼ hours or until the skin is deep golden brown and the chicken is thoroughly cooked. The juices should run clear. 6. Carefully remove the chicken from the oven and transfer to a board. Remember, it will be extremely hot and juices could splash. Loosely cover the chicken with foil and leave to rest for 10 minutes. 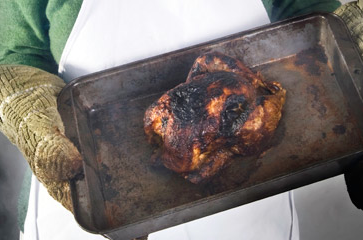 Remove the rotisserie rod and carve the chicken to serve.